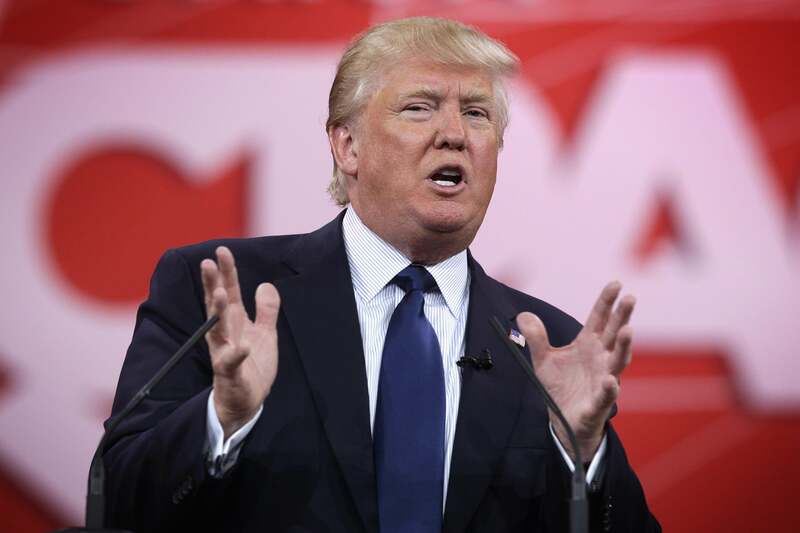 Donald Trump’s major announcement set for June 16. Don’t be fooled. Donald Trump Just Pulled the Same Political Trick He Has for the Past 28 Years. It’ll Probably Work. Donald Trump addresses the 42nd annual Conservative Political Action Conference on Feb. 27, 2015, in National Harbor, Maryland. I have no way of knowing whether The Donald will actually run for president this time after decades of hinting at the idea in exchange for some free PR. The real estate mogul-turned-reality star has taken a number of steps in the past few months that—if taken by anyone not named Trump—could fairly be interpreted as an interest in running a legitimate campaign. He launched an exploratory committee in March, and made several staff hires in a few key states. Just last week he unveiled a 17-person leadership team in New Hampshire, the state that has long served as the stage for his will-he-or-won’t-he show going back nearly three decades. If Trump’s June announcement doesn’t turn out to be another bust, that might actually be worse news. He will never seriously compete for the GOP nomination even if he is officially running for it. But, as I explained last week, he could very easily steal a spot on Fox News’ 10-person debate stage this summer thanks to his name recognition alone. That might make for good TV, but it’s hard to imagine it making for a fruitful debate.